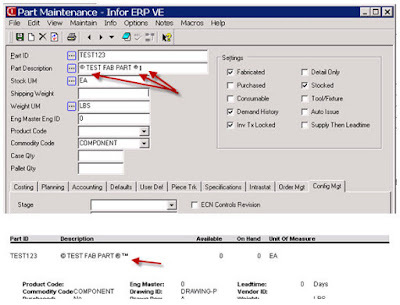 Infor VISUAL Support Tips & News: Did you know that you add a symbol to any field that accepts text? Did you know that you add a symbol to any field that accepts text? Did you know that you can add a symbol to any field that accepts text? 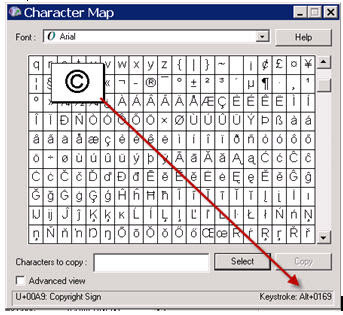 First, use the Character Map in Windows (Program\Accessories\System Tools) to locate the symbol that you want to use, and then find correct the keystrokes. Then, open VISUAL and enter those keystrokes into the desired text field. Some of the symbols may appear garbled, but usually print out without any issues! This edition of VISUAL Did You Know was brought to you by Tasha Parker, one of BizTech's VISUAL Consultants.